With spring now fully sprung, a new study by University of Wisconsin–Madison researchers shows that buds burst earlier in dense urban areas than in their suburban and rural surroundings. This may be music to urban gardeners’ ears, but that tune could be alarming to some native and migratory birds and bugs. Urban-dwelling plants around the globe typically get a head start on the growing season compared to their rural counterparts because of the urban heat island effect, the phenomenon in which cities tend to be warmer than nonurban areas due to their plethora of built surfaces — made of concrete, asphalt and more — and scarcity of vegetation. But according to the study, published this week in Environmental Research Letters, the urban heat island doesn’t lengthen the growing season uniformly across a city. 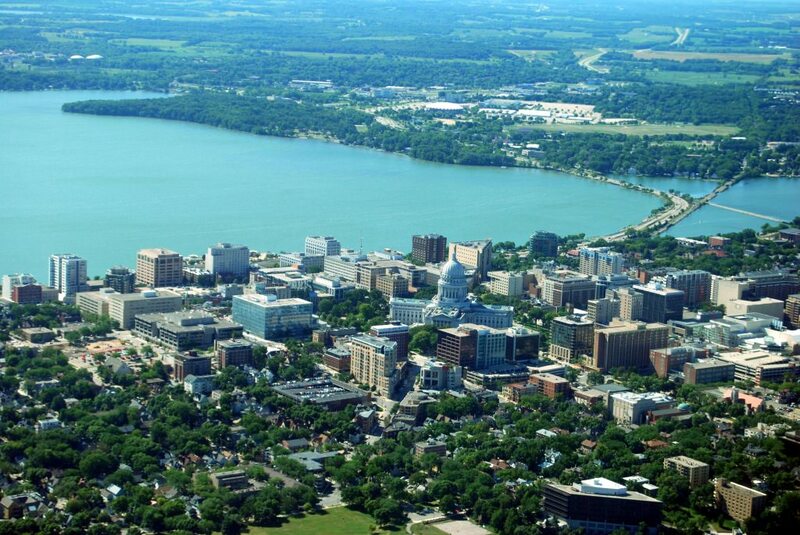 Within the study site (Madison, Wisconsin) the researchers found that while the growing season lasted up to a week longer in the city’s densest areas, its parks subdued the warming effect and thus helped to normalize the growing season length. The spring green-up underpins many important natural processes, like the budding of flowers and release of pollen. Throwing off the timing of this cycle can have cascading effects on urban ecosystems that may be harmful to birds, butterflies and other wildlife in search of food and habitat. The study shows that urban parks can provide them “cool island” refuges, with natural conditions to which they are better accustomed. 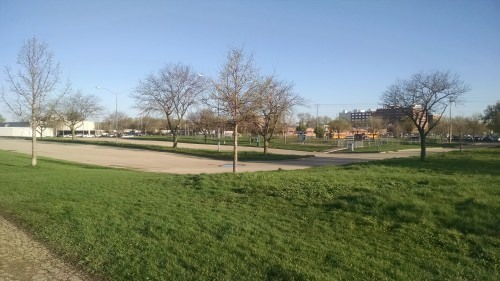 Grass beats trees to the spring green up, even though both hug this urban parking lot.